In addition to providing a bouquet of fully integrated travel solutions, The Nature World Tours & Trek is involved in organizing a variety of events in the surrounding regions of Gangtok, Darjeeling, Pelling, Lachung and Lachen. We are based in Gangtok (Sikkim, India) and can be trusted for planning and hosting corporate and private events. We are a crew of creative thinkers, coordinators and professionals, who work as per clientsâ�� schedule, style and budget. 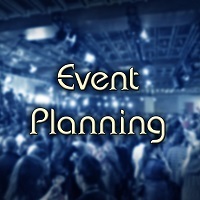 So, if you want to make your upcoming events grand, flawless, and successful, contact us and appoint us as your event organizer.